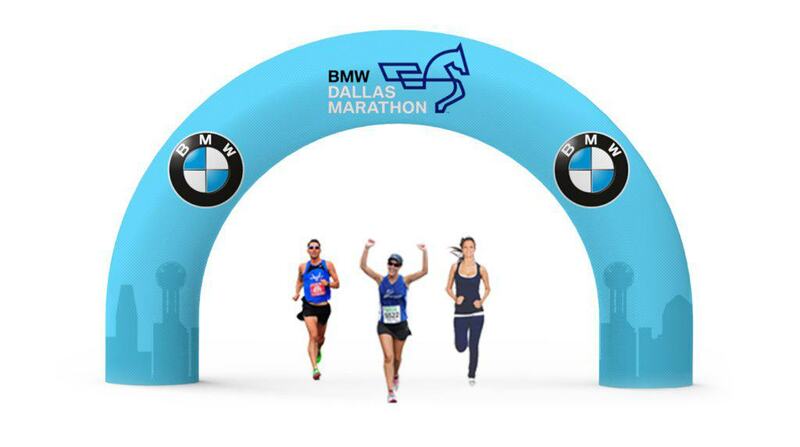 Standard Arch Inflatables are the great addition for any marathon or racing event. The Standard inflatable arch can be used to mark the beginning, end, transition area of your race or event or use your inflatable Arch as an entrance way to any event. Each standard inflatable arch is made to order and is custom made with the colors of your choice. Choose from a variety of standard sizes (15’, 20’, 25’’, 30’ 35’ 40’ Wide). Request your free quote today!